Stages are lined up at the passenger platform to take travelers to Sonora, Angels Camp, Chinese Camp and Jackson. The stages were part of the 12-15 vehicles built for Milton. Since my last post in April, I have been doing quite a few things on the railroad but none that really show up. 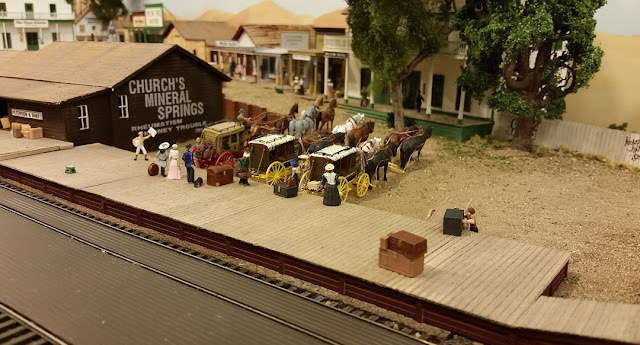 In my campaign to get Milton finished, I've built around 12-15 wagons and buggies with which to populate the town, painted around 30 figures and numerous bits of boxes, baggage and other junk to pile on the platforms. Two new structures have been added, however, which should be the last ones needed on this area of the railroad. Martin's Livery sits next to the road leading to the town of Jenny Lind and close to the railroad tracks. A corral will be erected at the rear of the building to contain the horses. The first new structure is Martin's Livery based on an actual livery stable in Milton in the 1890s. I knew the footprint of the building but that's about all. I could see the top of the roof in one of my overall photos but that's it so freelancing was the only way to really model it. A few months ago, I helped a friend of mine, Doug Taylor, make some decals. He wanted to repay me and asked me if I needed a structure. I gave him some drawings and Martin's Livery emerged. 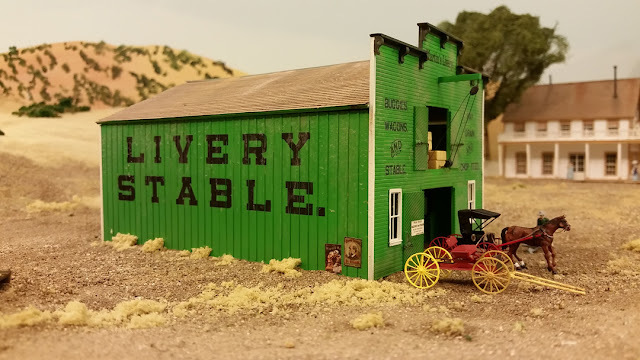 While Doug built the building, I painted it and added the signage but it's mostly Doug's work. I think it fits pretty well with the rest of the town. Wagon and tool repair are a product of the Milton blacksmith, Diedrich Helm. Since he has a forge, he also gets to act as the local farrier and show horses. The other structure was the Blacksmith shop which was adjacent to the livery stable. 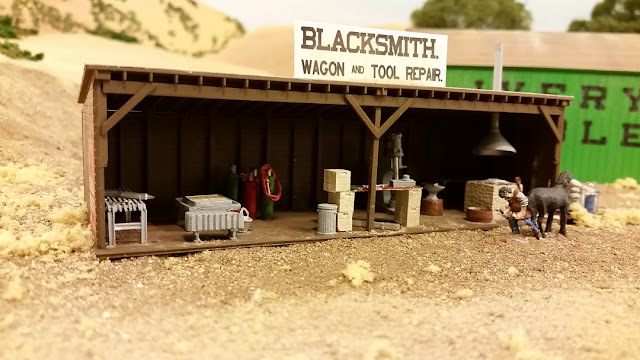 Since blacksmiths did a lot more than just shoeing horses, I added some welding and metal forming equipment and even included a drop hammer. 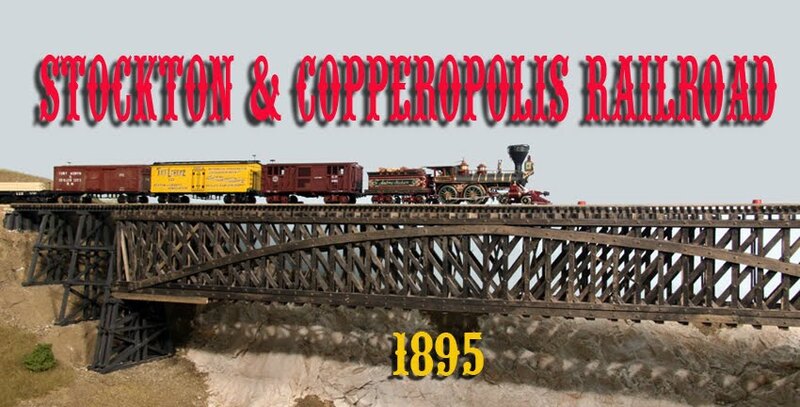 I intended to start work on the Milton turntable this week but did not have the right size beams. These are now on order and then work will begin. Thanks, Doug, for your contribution to the Stockton & Copperopolis.